One has no edge in the back to keep the gopro in. What is the difference between the two Gopro session mounts? Is there a chance you can post a .step file for the GoPro mount? Don't have it any more. Does anyone one know of a pod stl for the bolt rc's kraken 5r? Hi, Am trying to print the pod.stl file, and is the correct way to print it horizontally (as we mount on frame) ? And approx how much time it takes ? to print in TPU..? First off, great designs, absolutely love them! Could you post f3d files? I can't make any changes in the sculpt environment. I just need to pull the front out just a bit and add some new holes. This sort of thing is best done in sculpt. Converting to t-splines creates and ugly mess. I hope you could send me the f3d file for the standard pod or share it on here. I can't really do anything with the STEP file. Here's an idea of the changes I need to make. No I don't share those files. Fair enough, thanks anyway for sharing the step file. That's already much more than what most people would do. The problem is, is that people use the files to change one small thing and sell it as there own design without following licences. Because of those people I stopped with putting designs online for frames that are not mine. I did not care that they sold the things but my problem was, was that they sold it if it was there design. Yeah I can see how frustrating that could be. Working on my own design now. It’s extremely difficult and since I don’t have a lot of time I thought modifying an already amazing design may be easier for my purpose. Thanks again anyway. Keep posting these beautiful designs. That is not mine. Maydayfpv designed that one for the floss. This is my mail and Skype address. can you upload a closed version of the new version design? It is designed for Runcam swift and hs1177 cams. The mounting hole is 3mm. So i think it will be hard to mount or you need a m2 spacer. Does anyone know if the newest version (pod.stl) fits over the Racerstar F3S/F4S AiO? I'm not sure of the version I have, but I have it fitting just fine over the Tattoo F4S. It is not scared so i think that there is an other problem. I will ad that as I have time. Must finish first other things. Could you please make back part harder? someone tryed to print without support? First learn the program and learn 3D. With that it is easier to design a new pod instead of redesigning an existing one. The cam on the same place can give problems with the props. Make models of the parts you use and the space the props take so you can see if it fits and does not hit the pod. I would like to print this for the newer version of the X210, I don't need to carry an HD camera and I would like a FPV camera at 30 degrees. Which file would you suggest. if i just want the pod with the session mount which ones do i print because im new to this and it is slightly confusing knowing which ones to print? One of the latest pods under on the list. The 30 is 30degree and so on. You could upload a version without opening for the camera. I would like to make the exact opening for my camera with thindercad. Thank you and sorry for my English. Just one comment about the existing design which hopefully you can fix in the new one. The thickness of the pod skin adjacent to the rear screw mounts is quite thin. When I print the pod with Colorfabb XT (PETG) which is not flexible, the pod is weak and easily snaps. Can you please ensure there is sufficient thickness adjacent to the attachment points. Great work by the way. The pod is meant to be printed in TPU. I will make it a bit thicker but better is to use TPU. Yes I realise that, and will print from TPU next. Thickening the back wall adjacent to those back screw bosses wouldn't hurt though, then if somebody wants to print from a harder material that's an option. Cheers and keep up the fantastic work. PTEG will brake fast in a hard crash, even as i make it thicker. TPU will hold a lot more. I make it a bit thicker but not to much. I also want to make it not to heavy. Mine is print 1ith 100% infill. I think that the only difference wille be as you use the cam mount on top, the rest will be solid I think because the thickness is 2mm. Did a nice job on this and having some different colors to change out will help me keep it clean..
A complete new version is coming soon. How soon or should I just print this again? On my instagram I have images. Depends on the cam angle. With 30deg I have pdb on 3mm and the fc on that on 6mm standoffs and than still some space left but not much. Just tape the receiver on top of the fc. That will work. Any chance you can make one that can accommodate a unify pro vtx pigtail on the one that doesn't have the gopro mount? There are step files that you can change if you want. There is one withoud a gopro mount that you can change. Also if you use the pigtail of the unify, you can heat remove a bit by the vtx mount so it will fit.With a soldering iron you can make holes. I am doing no changes my self any more on this pod.Soon there will come a new version with esc protectors, shorter and added a 60 deg cam angle. Dumb question. Where do I open the .step files? Am I able to manipulate this type of file? You need a CAD program and for this file it is better to have Fusion 360. A step file is just the model. You can change it by cutting out parts or adding parts. But before you do so it is better first to learn fusion 360. On youtube you can find tutorials. I have fusion 360. How do I open a .step file? Go to File, New design from file and than choose the step file. A version for X210 Pro would be awesome! Edit the geprc version. Those sizes are the closest. Nice. I use for my self a pod with a changed rear with a xt60 opening. Here it is, unfortanetly the yi case doesnt mount very well to the pod. Is their any program I could use to combine the pod and the case and print it as one? That would be so much better. Their is a version of the yi case attached with no support. I think that a lipo strap wil work better to hold it on. Yes you can but from that pot there is a step file. That works better than stl or you need 3D builder in Windows 10 or blender can work with stl. Fusion can but it is not that good with it. In witch program did you edit the case? No I stopped because I need time for my prototype frame were I am working on and other projects. Get fusion 360. It is free. SolidWorks can not handle the modling because it is not a sketch. I have it, I used it to modify your pod but it'd really confusing and terrible to use. I now but it is Autodesk also known from Autocad. They are terrible in making things work normal. But there is a lot online to help. It took me 1 our to learn the program. I did it by just looking ad what way of working they use. That is also how I learnt all the other cad programs. Needed to now a lot of cad programs for my work so I could work for any cliant that came. Every program has it's own way. Fusion is messed up but is not that hard. Katia under unix is worse. It works! Currently using cable tie but will upgrade to velcro strap once it comes. Feel free to upload my yi case stl to your thing so people can find it, just label it as UltiFix in front of the file name please. Hi emiel1976 - very sharp design! I had 'pod_20' printed for me yesterday via 3D Hub in TPU and it takes this frame to a whole new level! After fitting it however, I couldn't help but think of a few changes to the 'pod_20' design that would make it even more awesome! are you able to look into these if you have time please? Front Standoffs (30x5mm) - is it possible to use the front standoffs that come with the x210 frame? this I feel would provide more strength and integrity to your already incredible design! The standoffs would be secured to the Pod internally via M3 holes in the top, similar to the fpv cam holes provided...remove the current M3 nut opening and overhang, as that's where the other end of the standoff will sit and the frame would secure as it does now through the Pod and then directly to the standoffs. To accommodate this, the camera mount would need to be shifted further forward and the Pod height will probably need to be increased which might be an issue but looking at the Pod on the frame in my hands it should be okay and clear the props...your design experience will soon tell you if I'm wrong about this though! Any way, thanks again for the design....I'm loving it! Sorry I will not do any changes to the model. First because I have no time for it. It posted me a lot of time and I am working on an other project. Second I added step files so every body can ad his own cam mount, change the mounting and ad the holes for the USB and xt60. As the pod is not strong enough to you liking, than you can ad some internal structures, print it with a flex material with 100% infill. I use a version that was the base for the last version without the cam mount. It is printed with flex material and 100% infill and I crash a lot and everything is still undamaged. Sorry but I can not help you. Your wishes are also so extreem with the standoffs, that it would be better to design a complete new pod. can you share the frame stp file? No sorry. The frame is not according the sizes so I don't share it. It does not matter if the frame not the same with the original . I just want to cut one with my CNC . Send me a direct message with your mail adres i will send it to you tomorrow. Hey emiel1976, awesome pod, i haven't printed the new versions yet because i feel like the overhang that sits above the M3 nut slot wouldn't be printed smoothly and would have a lot of drooping parts, could you make a version that dosen't have that overhang above the nut or a version that includes a support where the nut would go. If i had Simplify3D i would add in my own support but I dont have it. I tried adding supports to the pod 30 step file but when converted to stl, there's an error and cura doesnt display the layer y layer view correctly. Uploaded it and is called pod 30 last. thank you very much for updating the file quickly despite all the things you have going on, looks great, thanks again! With fusion 360 it is easy to change it. I will ad 1 version for you but that is the last I can do. Don't have that much time with all the things I am still working on. Solidworks will probably not support it because it is made in Fusion with a tool that is not available in Solidworks. In Fusion 360 just use a sketch and subtracted it from the model. As you now solidworks, you will learn this fast. I worked for years with solidworks and now I work with onshape and fusion 360. Except the pod I do everything in onshape and as a solidworks user you will like onshape more. I don't like Fusion because it is just made very bad just like autocad is and stays. sketch on a plane and than extrude it and that you can subtract from the model. Thank you! Finally figured it out. I really like solidworks WAY better than fusion. Its really poorly designed... Wished it would have imported ok. Any tricks for figuring out where the cutout should be for xt-60? Did you base it off of the screw holes? Yes fusion is just crap but it is the only free program that is good for making a pod. I use for frames Onshape what you will like because it is from a old solidworks employee and it works almost the same. I moddeld it with the pdb as mid point but I don't now how the step is loaded in fusion and were the x,y,z point is. But els messure the distance of the hales from the front to the first for the pdb, ad 15.25 and you have the mid point. I see, your created a sketch where all the stuff goes, then brought it into fusion to make the buetiful t splines. Was wondering how you worked with this to create the entire thing in fusion. Makes sense. Fusion does make some really natural curves and stuff. My PDB is on 5mm standoffs so its big anyway. You can sketch also from the bottom and use the model as reference if I am right. The old x210 is ~67mm x 31mm, while the Pro is 63mm x 32mm between the standoff holes. As best I can tell, this pod measures ~66.5x30.5 - but maybe stretchy materials can accommodate this difference. Regardless - this pod is SO AWESOME. Excellent work on the design! Yes the pod is 66.5x30.5 I got this from my frame but small differences are not a big problem. As I see the sizes you posted, it looks like that the sizes now are close to the geprc chimp that has 32x64. Do you now the distance from the front holes center to the front and the length of the mis section were the pod will sit? As it is the same as the geprc chimp, than I will change those holes in that model. As it is the same as the old plate, than I will make a second version. I hope to have next week an updated version of the pod. I improved some things and I will ad the step files so it is easy to ad your own holes for the fc USB and pdb in it. Hi! Thanks so much for the response and the excellent design! So, I don't have this frame to verify measurements... but based on the measurement that someone gave me which I listed above as 63x32 and a photo they posted, I made the following VERY ROUGH sketch of the RealAcc Pro frame and generated an STL. I can try and ask that person to remeasure, but I'll post back if they end up responding! Yes this helps. Thanks I will put it over my geprc and realacc frame to see what comes closest. It looks a lot like the geprc frame. I used for the geprc frame just a scan. Someone put his bottom plate on the scanner and send me the jpg file. I changed the size until I got the mounting holes for the fc and pdb right. Than i now that the rest of the sizes are right. That's very similar to what I did - it wasn't a scan though - just a photo. It was a pretty good photo, but not perfectly level, so the measurements might be off here and there. Photo works also but I noticed that it can give small problems. A scan makes that it is flat. I copied the Dquad Obsession with photos and I have some small differences but those can be solved. As I had scans, than it would be easier. Would it be possible for the TPU to go right up to the motors so they can protect ESC too? Kind of like a 1 piece body. Than I would make an other pod. Maybe I will make one. But now I must finish some other things first. Have not much time ad the moment. For what FPV cam it is designed? Will HS1117 fit? Yes. Used my swift and hs1189 for the sizes. I love this design. It's slowly convincing me to buy a X210 just to print it! Any chance you could post the .STEP or .f3d (preferably .STEP)? I'd like to remix it to add a mounting hole for a Matek led strip on the pod. I will soon replace all the models with the latest update I have made. Improved it a bit. The vtx mount will be moved back and under the fpv cam mount the pod is improved. Also a bit lighter. Also will the front be a bit longer so the cam is better protected and if to long, you can shorten it. I will ad the step files from every version with it. Is any of the pod version compatible to the X210 V+ or PRO frame? The mounting holes doesn't match up with my v+. Can you help? Thanks for the reply. I think it may be a size issue, if I try to line up the front mount the back mounts lineup just passed the slots for the light bar towards the back of the frame. I don't now the place of the mounting holes. I don't now, as the mounting holes from the standoffs are on the same place than it will fit. I finally got around to printing the thin wall version, the weight came out to 15.7g in ABS @ 0.2mm. A huge improvement on the weight front. Though it is not as rugged as the original, it still seems plenty strong. Edit: that is also with some additional cutouts made for my vTX and other components. I can not test it my self. Saving for a 3D printer ad the moment. Hi, What program do you use for moddelling? I am really interested on learning surface modelling, I know some basic fusion 360 cad but would like to learn more, could you point me with some tutorials or resources? Thanks!! I used fusion 360 for the pod. As you are learning, than Onshape is better to start with. Fusion is good but some things are just made bad so it is not the best system and other programs work a lot faster. The pod you need to do in fusion because you can't do that in onshape. But learning the basics first is best. For both programs are video's on youtube on how it works. I know how to model in fusion, but dont know how to achieve smoth surfaces, which techinque do you use? Lofts, splines? The part that you can shape a model in everything you want. Sculp and than start with a plane. Is PLA not an option for this awesome canopy? well this came out freaking fantastic in PLA. I was able to print flat, with no supports. I don't now what the differences are from materials. Have no 3d printer yet. Can you make some photo's. I am interested in how it looks. print has been posted. thanks! wow.. you're doing all this with no 3d printer? Awesome. Any design tips for dummies? I have no idea how to design but love printing from this site :) I'll post a pic and link it. Hahaha it was my job. Worked for years with cad programs and now a lot of programs. Need sizes from the pars and than i can make it. It is not that hard to do. Could you do a 40deg mount on the thin version please which is also closed? I'll remix it with the holes needed for a hubosd and Revolt board. Great work! The hubosd is like the matek pdb so those holes i can ad if you want. I must make some other versions. I will also make 1 of the tin version with a 4deg cam mount. Hi! I'm printing it right now in TPU. Just a quick question, are you just using screws from the bottom with no nuts? I mean you just let the screew to thread the hole? Is that enough? Or you drill the holes in the plastic and the use some nuts? Thanks a lot. It's a great work! No nuts just m3 screws. Just don't use to short ones. Which file has the 50 Degree Mount? There is now only 30 and 40. Next week I will ad a 20 version and I can ad a 50 as you want. The only problem I see so far is easy access to my VTX channels. https://www.youtube.com/shared?ci=DvUYNz5buuk that is how I am going to do it. I have that problem on my other quad and I am going to connect my smart audio to the fc so I can set it up. Why didn't you use kiss esc? What RX was that? Nice build! How do you like the littlebees compared to kiss? I just frickin love the telemetry to my taranis. Could you make one with 20 degree hd cam mount? yes but not this week. have to finish an other pod and that takes longer than I expected. I can print in flexible filament and report back how it goes on a folgertech 2020 prusa i3? Want me to with one of these versions and give feedback? Yes thanks. I don't have a printer and can not help people with how they must do it. I want one so I can try things my self if it works. No, I can print it myself but I mean I could see how I like it and give you improvement ideas for the design not how to print it. O Ok I already got a lot of those. That is why my pod for the geprc version is not a changed version of this one. Flat as on the quad frame. Some use some support. Would you print this in sainsmart tpu? Sorry I can not help you with what material. The only thing I now is that the flex material is the strongest. I would LOVE to see a version of this with the "window" on the side one level down, so an All-in-One flight controller could be used and the USB port would line up. Right now, it would have to go up 2 sets of spacers, which means all the power cables, XT60 cable, etc all would have to go way up there. Happy to tip you to do that. I think it is easier to use the closed version and cut a hole on the spot from your usb. It is hard for me to put the hole on the right spot for each fc. Also do i have now a lot of versions and there comes an extra version for longer lenses like the 2.1mm lens. Thanks. The closed version doesn't have the XT60, does it? ... but maybe I can do it myself. Do you have the source files available? What program did you do it in? Maybe I can make a remix. Itch version of the closed version do you want the xt60 in? with 30 or 40 deg cam mount or without? I must make more versions but I need to do also some other stuff so that is why not all versions have it yet. Standard closed version without cam mount, XT60. Next versions I will finish first before I upload it. Did not expect that many people would like the pod. Was mend for my self but got many questions and positive reactions. Did not expect that. Thanks - you are the king. The x210 frame is hugely popular, although it seems not to be well thought through in my opinion. This fixes that problem, which might explain the interest? Maybe because of that or because other quads have also pods and this is a cheap frame and as you have a printer, also cheap to make it. I don't now but I now the frame is populair. I made a geprc version and I am thinking of getting that one also. The bottom plate is better. OK, so it appers that the closed version with the XT60 and no cam mount is problematic. It seems to be the thicker version, and it appears to be made thicker towards the inside, which means that the cam mount is now to narrow to mount a cam because it's too narrow. Also the opening for the cam is narrow and won't fit a 2.5mm lens like the thin walled version. So, is it possible for a xt60 closed, no cam mount, non-thick walled version? The thin version is the only one with a bigger hole for the cam. OK, however I can't even get the cam into the screwholes in the thicker version. You don't use flex material. I can ad that version. Will be next week. Where are you attaching your Rx antennas on this? On the rear arms. You can just mount them on that or what I do use tie wraps on the back arms about half way and let them point to the back horizontal. Thanks! So, you mean attached directly to the arms, running along the arms, is that right? The arms don't cause problems by blocking the antennas? Or do you have them sticking out from the arms? I now others just put them along the arms and have no problems. I use tie raps that stick out to the back. They never hit the props. Just a tie wrap around the arm half way and than they point back and inwards horizontal. Don't have any problems. How do you mount a vTx in there? There doesn't seem to be a mounting point. I'm guessing that it's required to use a vTx with a pigtail, correct? But where do you actually mount the vTx? There doesn't seem to be space for the battery strap .. Normally I have the battery strap coming out the sides, I'm guessing that I would need to change this to out the bottom, which is a bit less stable. Is this right? I see the pod with the XT60 is thinner - do you have the thicker one with the XT60? The thinner one seems like it might be a but too thin to hold up well. Thanks again, this is an awesome design! 1.) Dril 2 holes on the place were you mount your vtx in the top and than use a tie rap. You will need a pigtail. 2.) Battery strap goes true the holes in the carbon plate on the bottom. As you use some anti slip material, your lipo stays nice on it's place by a crash. 3.) I will ad those version next week. OK, thanks. on #2, I've had all of the realacc x210 frames (x210,x210 v+, x210 Pro), and they all seem to work better with the battery strap coming in the side, down through the hole, accross the body underneath, back up the other hole & out the other side. It's much more stable and the battery stays in better, likely because it's a bit wider like this than the other way. Also, it leaves room underneath the stack for the receiver, which saves a lot of space, esp in an already cramped frame. I might try remixing the POD to put some slots on the bottom sodes to fit the strap, though I'm not sure how well it will work because it might not print with more gaps in the bottom! I don't have any problems with my lipo as I use the holes. My lipo never slides out. The pdb I put on 3mm spacers and than 10mm spacers for the fc. The receiver fits between the pdb and fc. I've been using the new Betaflight F3 flight controller, which doesn't need a pdb (it's an AIO), so the receiver has been going underneath. Thanks for all the answers, I appreciate it! I have that fc in my Q-SX218 frame. Use longer spacers under it and you have a lot of space. I bought a carbon plate from an other frame to mount above the fc. There I could mount my other stuf on but I don't use it any more. My vtx is now on my top plate and my XM+ receiver is under the fc. I can't figure something out - is this to be used IN PLACE of the standoffs & top plates or INSTEAD of them? If instead, how do you mount your FC, etc? I can't see anywhere to mount them. It replaces the 4standoffs and the top plate. You mount your fc and pdb the same way as you would do with the standoffs and the top plate. It goes over them. Ahhh, right. The boards mount to the frame as usual. of course! Awesome pod, best one I have seen yet. Could you make a version w/ a 17.5mm FPV cam opening for gopro lenses? Or better yet a version that is just smooth in the FPV cam opening (i.e. no cam 20, 30, 40, 50 cam angle fixing) that is at least 17.5mm wide? Yes witch version do you want that way? Without the HD cam mount or one with a cam mount? Let me now than I will ad one of them with a diameter of 17.5 and no fixed degrees. The one without HD cam please. I had some ideas for future versions if you were planning to make any. On the back, the wire hole could be changed to the exact size of an XT60, so that it could be fixed in place there. Adding some holes/spaces on the top to allow a vTX to be zip-tied to the canopy. Elongating the 5.8ghz antenna hole so that it can protrude horizontally or vertically and possibly adding some holes near by to zip-tie the antenna in place (to prevent broken vTX in a crash). Lastly cutting some weight, my print came out to 26.5g (abs) and is EXTREMELY sturdy, so maybe some thickness could be scaled back since it is plenty strong. The xt60 hole I will try to make it fit tight. But I think that you need to adapt it a bit. The XT60 I was already working on. I will make a version with the antenna horizontal and adding some material so you can zipty it to. The holes for the vtx are no problem. I did not ad them because not every body is using the same size vtrx and this way you can drill your own holes for the vtx were you want it. Weight is harder to lower. I can make it thinner but it become weaker on other places. The thing is pretty much indestructible in its current form. I can push on it with most of my force and no sign of cracking (once again in ABS). I feel like it could easily go thinner on the side walls and holes for the ESC/Motor wires, possibly the top as well. Uploading the thinner version with a 17.5mm opening for cam without angles. It is a lot thinner so look if it is strong enough. I will try to make the version I make for you thinner. You print it with 100% infill? The thinned out version looks perfect, not sure if I have enough filament to finish the print tonight, if not should have some more in tomorrow and will let you know. I am using an UP! printer with the UP! software, so don't have a true 100% infill option, but I do select the highest infill level. If it gives me any problems there is a transcoder i can use to print gcode files and get true 100% infill. Thanks for the awesome work! Let me now if it is still strong enough. Thank you very much for this really nice Pod. I printed it without support with tpu and 100% infill. Very stable. I also did a remix with 45° Cam Mount for cams like the xiaomi Yi. Why 45? The fpv cam has 20, 30, 40 and 50 degree angle. 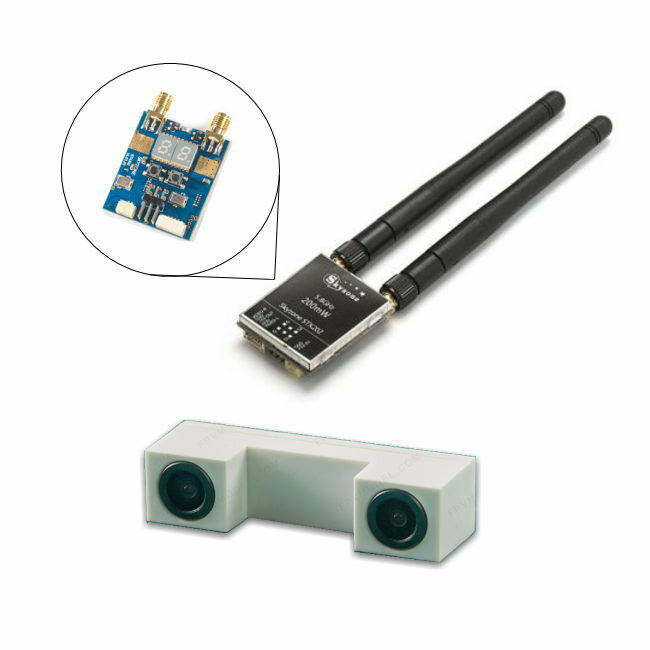 Now your Fpv cam has an other angle than the hd cam has. Or do you have a smaller lens diameter? Yes its not a Problem to set the fpv cam to 45°.. its my favourite cam tilt. Ok, I could make a version for you with also the fpvcam tilt. What's the best way you have found to print this? Does it need supports too? But for what some people told me, it needs supports to print it. It needs some support. I'm sure you could print it entirely without, with the right settings of course. I used "touching buildplate" only, and it worked out just fine. Very nice design Emiel :-) what is the internal distance for the fpv cam ? I wanna try and print it in PETG and that doesn't' flex so much as TPU and i wanna make sure i can squeeze the cam ( Arrow v2) in. The mounting ob the side are the lens hole is 17mm and if I am right the place to mount is 27.5 or 28mm width. I must check that. Fantastic pod emiel1976, I have printed a few others and none look anywhere near as nice as this one, plus it has good clearance to the props. Cheers. Btw how do you mount these? just use longer screws? do we need to put a bolt on top of the screw holes?? Great work! :) it comes with the HD mount too. Just screws from the bottom. I don't now if it fits the qavx. I am working an a geprc version. Those mounting holes are different. An opening in the back for the vtx is hard to do. Not all vtx are the same. Best is immersionrc tramp with the wand or the tbs unify pro and wait till bfosd suports it. Than you can change settings in the osd. Sorry i can't help you with that. I don't now any thing about that. Where was it the battery connector supposed to go? Awesome design by the way! In the back but there will be a new version with a place for the matec pdb on the richt side. awesome, yeah I found now, thanks! Working on it right now. I hope tonight els tomorrow it will be on thingiverse. unsure what happened there, my appologies. I only wanted to post that comment once! lol. i was working on the file for the xiaomi yi and that one also needed the Matek pdb opening so I added to all the models with the side open. I don't know what to say, haha. I will defenently be using your design! Thanks, let me now how you find it. I don't have a 3D printer yet and I used my Foxeer HS1189 with the 2.5mm lens for the cam size. There is space enough in the back but the lens can stick out a bit further than I have. I can change that if needed. Oh I defenently will when I've had time to fly it. But for starters the mounting holes for the cam are just a tiny bit too tight together, I hade a real hard time getting the camera in place, but once there it doesn't even need the screws to stay in place! Yes that I now. I love that, that way the cam stays better on it's place by a crash. I can make a cutout so it is easier to place the cam in. No, no need, I like it aswell. It might just be that my filament expands a little while printing. Usually the tollerances aren't way off, but usually not always a perfect fit. Might just be mine in particular, I'd say leave it for now. Now that I've had time to print the new parts I have a proposal for improving the desgn a bit. So basically for the session mount, it's almost impossible to get in the there. The fit for the camera itself is perfect, but there some kind of tiny wall that protects the goprpo from slipping back out. I'm not talking about the big one in the front, but the one in the back, the tiny wall thingy. So maybe the tought was to print in tpu? I am using PETG, which does'nt flex too well. Basically I had a real hard time getting the session in place, it was too big to get in there, a knife was needed, lol. Sorry if my description was incomprehensible, I can add pictures if needed. It is designed for flex material. I can ad a version that has only 4 small points instead of it all the way around if you want. Or as it stays in there, remove the back edge. I will ad that version tonight. Added the session mount with an open back. I have a new proposal of improvment. I in person used PETG to print this and I assume I'm not the only one to do so. What I noticed upon the first crash (lol, yeah I crashed right away) was that the pod broke (obviously) at the area around the screw holes. If possible, I believe adding more mass or slightly thicker walls around that area and strectching a bit up from it would improve the strength grealty. Maybe you could post it as a separate model for those who print using stiffer materials, such as I.
I can make the material thicker around the screw hole and the sides. Witch one were you using? Than I will make that first for you. Best it works with the flex material and nylon with some flex. PETG is not the best material to use but with I think it will help a bit as I make it thicker around there. yeah I know, should really get some TPU. So I was using the first one you posted with 40 deg cam mount. But it's quite snowy outside now so currently I'm printing the one with battery connection in the back, 40 deg cam mount but without the holes, to prevent snow from getting inside. So if you could start with that one it would be highly appriciated. I will make a version of the closed version with the 40 deg cam mount with a xt60 size hole in the back and the place around the mounting thicker. I can ad a vin like a shark to protect the vtx antenna with 1 or 2 ty rap holes in it if you want? That would be perfect, thank you. Hmm I'm sorry but I can't really visualize that, could you describe it further? If it's purpose is to protect the antenna I suppose it could be rather nice to have, but otherwise I feel the GoPro is protecting the antenna fairly well at the moment. With the go pro version it is not needed. That will prevent that you crash on your sma. Ah I see. Well then it won't be necessary since I want the gopro version. But thanks anyways! excellent! Thank you so much for doing this! No problem it is up now whit some thicker mounts I made It from 6 to 8mm thick around the holes and added in the frond a radius so it is a bit stronger. Awesome! I'll print it and see wethear it helps! Great Job very nice Pod. But can u do it again without the 2Holes at the Side ,so the Pod is cloed at the Sides ???? 17mm diameter so 2.1 and the lenses that have an outer diameter of 17mm. Realacc X210 pod. by emiel1976 is licensed under the Creative Commons - Attribution - Non-Commercial license.